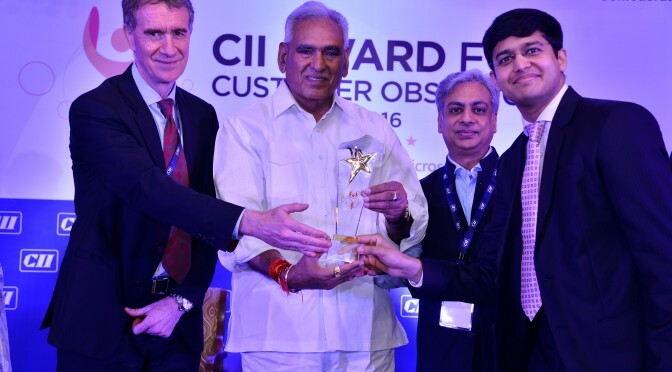 BiOZEEN has been recognized with Customer Obsession Award 2016 for Active Customer Engagement by Confederation of Indian Industry (CII) and Microsoft. The award was presented to Mr. Vibin B Joseph, Executive Director, BiOZEEN by the Honorable Minister of State for Consumer Affairs, Food and Public Distribution – Mr. R C Chaudhury, and the Chief Operations Officer of Microsoft – Mr. Bertrand Launay on 16 June 2017 at a function in New Delhi.. The award recognizes Customer Centric organizations where the customer is at the center of all processes to deliver superior customer experience across the value chain. This comprehensive and rigorous assessment focuses on leadership role and strategic focus in building a customer centric organization, customer focus through process management, product development, delivery, customer and market results. This evaluation is based on the requirements of the ‘CII IQ Excellence Framework for Managing Customer Experience’ developed by Confederation of Indian Industry and Microsoft.